“To do great marketing design you need partners that you can count on to deliver your message; both the literal and the intrinsic visual language that persuades customers to not onlypurchase but to become “loyalists”. 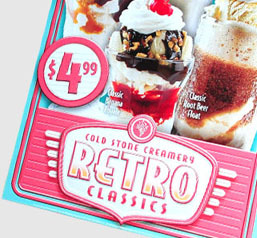 “In our industry the direction can change minute-to-minute and Image Mover is always there to support Cold Stone. Their quality is exceptional and their customer service is to be admired. IM has never missed a deadline. "As a print broker, I look for reliability, quality and price from my vendors. Image Mover has constantly provided me with all that and more. I highly recommend their services!" 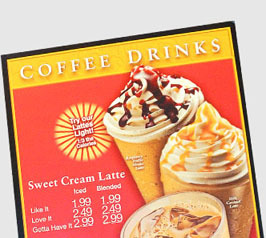 We are commercial point of sale signage printers, located in Southern California with a National reach. What kinds of printing do you offer? 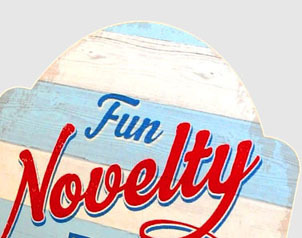 We print retail and commercial signs for retailers, franchises and marketing companies. 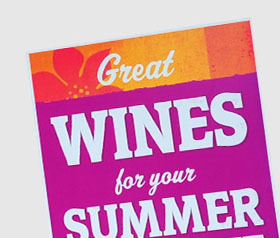 We produce, pack and ship promotional kits. What are your key business drivers? There are four: Service, Quality, Efficiency, and Reliability; in that order. Well, if you’re a major brand and have a significant retail footprint…consider Cold Stone Creamery, you find yourself with a bunch of people touching, franchising and interacting with your brand. Every point of the supply chain requires efficiency and a high degree of expertise or the system breaks down. Everyone must have the same standard of quality and excellence. We are all interdependent. We know our job and our place, really well. I think, reliability is one of the most important functions of service. We know how to take orders or receive instructions from planners and promotion guides. We know how to organize the information. It’s become intuitive. We know how to ship the right products, to the right place, on time; all of the time. We’re really good at what we do. We don’t say that. But, our clients do. It comes from a simple understanding of needs. We deal with national marketing departments, designers and architectural designers. We work with the guy who owns two stores or a national franchisee. We’re really in an emergency, delivery room…and we deliver every day. What does Image Mover do that no other company can? We have a process. We have three time tested tools: Communication, production and distribution technology. It’s integrated. It’s as important to our clients as are the people we hire and the machines we own. We take a lot of client data and make accessing the information simple. The basics are… a relational database that allows Image Mover to compute all store profiles into an easy-to-use ordering and distribution processing tool. We can ship 500,000 signs that go into 1500 boxes, with different combinations of contents...and deliver them when and where they need to be. On time. On budget.